In a world of uncertainty, humanity looks to steadfast figures for support and emotional stability. These figures are oft times not trained for such events but merely given the opportunity and chance to demonstrate their courage. For Winston Churchill, the world was on the precipice of tyranny and he was the leader chosen to defend the unalienable rights given to the British people. Winston Churchill hardly saved Britain alone however. By rousing the courage of Britain, Churchill gave the world hope that evil would not prevail and that victory was the reward if the people gave of themselves and dedicated themselves to the hard work of maintaining a democracy. Winston Churchill truly embodied the character of a patriot and demonstrated that given dedication and undaunted courage, a nation was capable of doing anything thrown its way, including a war that would shape history while shaking the very core of democracy and freedom. Before listening to this book, I knew very little about man known as Winston Churchill. This short listen gives a crash course on Churchill's life. 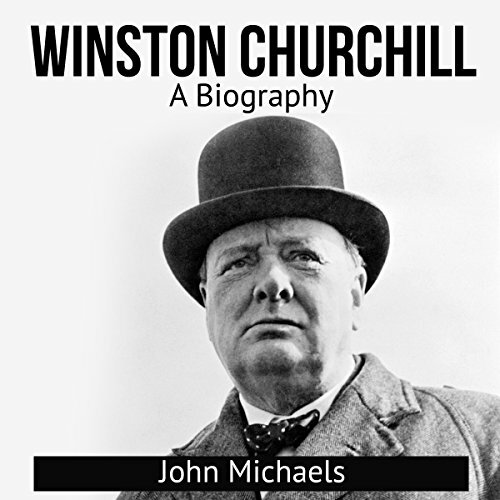 This books covers Churchill's childhood, education, and how he rose to be a leader for his country. Hearing how Churchill struggled in his younger days, gives inspiration to many youth to strive to do better and that it is possible to change your stars. was given this free review copy and have voluntary decided to leave this review.